Canadians made over 95 million purchases online last year, spending $15 billion in the process. Yesterday I ordered 6 more months worth of contacts online. For whatever reason, be it convenience, selection, price, or something else, millions of Canadians are flocking online rather than to the local mall to make purchases of all types and sizes. Chances are if you’re reading this blog you are among the group who prefers to purchase products from the comfort of your home. One of the more popular internet sites for those of us who are bargain shoppers is eBay. If you use this site you are probably looking for either a) a hard to find item, or b) a great deal. So I’ve come up with a list of suggestions below to make your eBay shopping experience that much more enjoyable. If you have never used eBay before and are worried about the legitimacy of certain sellers plan on purchasing from the eBay certified PowerSellers. These are Sellers who have at least 98% positive feedback from other buyers, so you can feel safe when you purchase from someone with this eBay stamp of approval. Mis-spell the item you are looking for – After searching for the item with the correct spelling try alternate (wrong) spellings of the same search terms. Typos happen all the time, sometimes a seller is in a rush to enter an item and misses a letter…and sometimes they just don’t know how to spell. This will significantly narrow your search and find you items that have been missed by the majority of other buyers. Because of a lack of competition you should be able to save a considerable amount this way. I know someone who bought a Porsche 911 at a great price by spelling it wrong! Last second bids – Have you ever been the only bidder on something, thought you won the auction only to have someone out bid you by a couple dollars at the last possible moment? Its known as sniping and it’s a common practice among the most successful eBay buyers. Try holding off your bidding until the last possible moment and see what kind of deal you can get. The eBay mobile app for popular smartphones including the iPhone makes this tactic that much easier. Another great filter on eBay is “Completed listings” this will show you the prices the item has recently sold for, a great tool if you wish to negotiate with a seller! Use Kinek – Sometimes the best deals on eBay only ship to the US, or maybe they do ship to Canada but the deals aren’t so great after you factor in the international shipping costs. 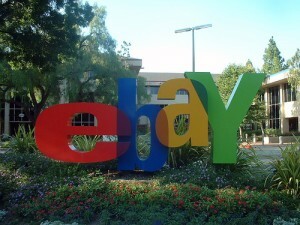 Free shipping to any address in the continental US is also quite a common incentive offered by eBay sellers. So send the item to a border KinekPoint location (you can find the nearest one to you here), use the KinekPoint as your US shipping address in order to take advantage of the all the great deals on the US eBay store. Kijiji – If you cannot find the item you’re looking for at the right price on eBay visit Kijiji to check if someone in your local area is selling the item you want. Localized sites like kijiji can also be valuable tools for finding the going asking prices of items as well. Finally be patient – if you don’t need the item immediately and can’t find quite the deal you were hoping for wait it out, chances are (unless it’s an incredible rare item) someone else will be selling the exact item a few days or weeks down the road. Waiting for the right deal may be one of the best tactics for those who are looking to spend as little as possible. If you have any other tips feel free to leave a comment and share your knowledge with the world!